Its bigger sister, the 2005 Château Palmer (53% Cabernet Sauvignon, 40% Merlot and 7% Petit Verdot), is one of the great efforts of this superlative vintage. Floral notes mixed with blackberry, cassis, plum, licorice and spring flowers soar from the glass of this dense ruby/purple wine. It is medium to full-bodied, surprisingly opulent (it has a big percentage of Merlot), long, multi-dimensional and textured. This wonderfully pure, stunning wine once again performs as a first-growth. It should drink well for the next 20-25 years. 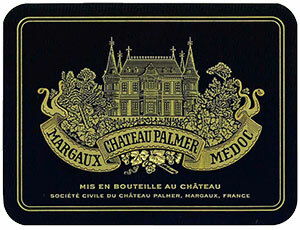 Tasted at the Château Palmer vertical in London, the 2005 Château Palmer is a legend in the making. Apparently the vines received 57% less rain than average, yet the 2005 shrugs off any water deficiency and has nurtured a wondrously pixelated bouquet, whereby mineralité shines through the black cherry and blueberry fruit. Search deeper and you discover veins of graphite that impart a Pauillac-like allure. The palate is medium-bodied and intense, but it is not overwhelming, a Margaux that is galvanized with a firm backbone thereby ensuring this will age over the long term. The symmetry here is enthralling - a 2005 that is destined for greatness. The only question is whether it will surpass the 2009 or 2010 Palmer? It will be fun finding out. Tasted May 2015. Drink: 2022 - 2050.